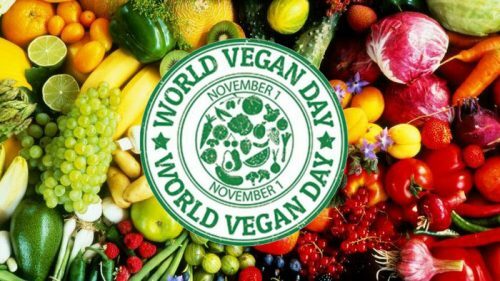 Today is World Vegan Day, an annual event celebrated on November 1st. World Vegan Day is an opportunity to promote the benefits of a vegan diet (a vegan diet involves eating only plant-based foods) and veganism in general. People observing the day celebrate the benefits of veganism for humans, animals and the environment. The day also kicks off World Vegan Month.